Everyone has been asking for new codes so we have provided a couple new Binweevils codes 2014 for all of you Binweevils players out there. These new codes can be used to unlock some new cool items for your nest. Binweevils does not put out a lot of codes; however, when they do it is worth it to use them. 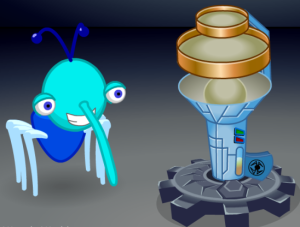 To enter the codes just head over to the Binweevils website and click on the Lab’s Lab area of the city. 283229323430 – Apple Pie Nest Item, YUM! The first new Binweevils code 2014 is TINKNCLOTTROCK14. 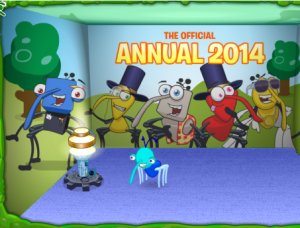 With this new code you will get a cool looking Binweevils characters 2014 wallpaper that you can put up in your nest. This will get rid of your old normal looking nest and create a new look for you. How cool is that? The second code for 2014 is MAGELTSACYORTSED. This mystery code unlocks a unique replica of Weevil S’s gun. If you have played the mission then you know what the gun looks like. The gun has been made into a cool looking original floor lamp in which you can decorate your bin nest with it. These are the new Binweevils codes 2014 that we have listed so far. Make sure to check back often as we are always updating this page with new codes. If you have a Binweevils code that you would like to share with us pleases leave a comment below. We will add the code tot his page to share with all of our visitors. Don’t forget to like our Facebook page and subscribe to our YouTube channel to get all the latest cheats, codes, secrets and tips. Could you add 2013 codes also? Like recent 2013 ones that work? Good job on website, Binweevils is a great game!